Years back, it was said that a successful organization is the one that is always at its toes to listen to their customer’s query so that an appropriate solution can be offered immediately. 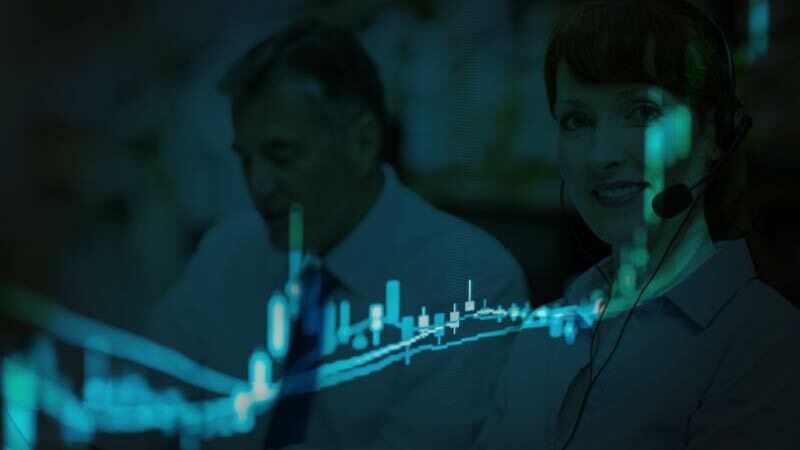 While comprehending the exact customer needs has always been a major concern, one of the best ways to identify these is the analysis of call data recorded from the conversations that take place between the customers and the agents. Offering you a wealth of information about the customer as well as the agent such as customer churn rate, satisfaction score, and agent performance rate, analyzing these call recordings also helps one stay ahead of its competitors. Since the volume of these call recordings is huge and abundant, it is certainly impossible to manually evaluate and analyze this data. And this is where the significant role of speech analytics software arrives. Speech analytics software is a specialized tool that automatically analyzes the call data to find the most relevant business insights. 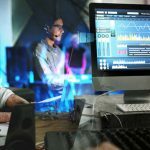 Serving a variety of additional purposes such as spotting the most used keywords and sensitive information redaction, this software can aid gender identification of the speakers. This information can, then, be used to spot the common errors in the entire communication and accordingly, design an improvement plan. In real-life scenarios, it is easier to differentiate between a male and female person. This is owing to the differences in their vocal tract length, phonetics, voice, pitch, and tone. For instance, the tone of a female’s voice is lower from that of a male’s. But, this might get difficult to do with call recordings due to a number of reasons such as abundant call data and lack of voice clarity. All such hurdles can be shattered and an in-depth insight of your customer as well as the agent can be gained using speech analytics software – SmartSpeech. 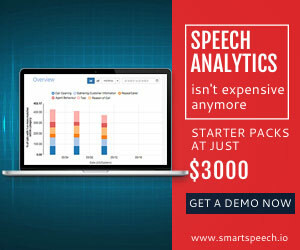 Built on V-Spark’s voice analytics software powered by Voci Technologies, Inc., gender identification gets simpler and easier with this powerful and customized speech analytics software. The first step to identify the speaker’s gender begins with the extraction of media files and other data files from the backend. This is followed by loading the transcriptions into the analytics platform, planning a call listening activity to identify the root cause of the problem, and generating multiple queries based on project requirements. The final output derived includes ROI-driven projects, an efficient QA process, and automated dashboards. 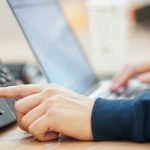 Gender identification using data of multiple call recordings can be the game-changer for the entire contact center’s performance. 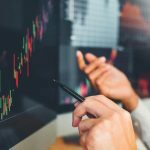 When you know who says what during a phone call, it becomes easier to find the best possible ways to improve the call center metrics like Average Handle Time (AHT), First Call Resolution (FCR) Score and others. Detecting the speaker’s gender also enables an easy categorization of telephone call data. This is possible as the tool allows one to detect the gender of each speaker. Undoubtedly, a call between a customer and an agent would have several issues. And, there would be a few that are more commonly detected in a specific gender. Therefore, when such issues are identified, planning a strategy to improve gender-specific issues gets easier. Gender identification using call data also helps in strengthening the quality of data and content that needs to be transmitted. This, in turn, is also helpful in personalizing interactions between the customer and the agent. Reduction in word error count in the customer-agent interaction is also possible. Recognizing the speaker’s gender can also assist in improving the speaker traits in the upcoming conversations. This may include prediction of age, emotions and other common traits of the speakers by displaying gender with age or emotions. The identification of the speaker’s gender may also help one gain an understanding about various customer insights such as their level of satisfaction with service and support level, resolution of business issues, competitive intelligence and smartness, etc. It is true that speech analytics is an excellent tool to retain existing and attract new customers. This is enabled by reducing the customer churn rate by identifying the root cause of the problem and looking for the best possible solution. The review of large samples and specific type of calls that help in improving quality monitoring is also a proven way to improve customer service. Analyzing and reviewing the agent’s service delivery may also help in developing a customized training program. The completion of this training program may serve as a great help to help the agent understand the required standard of service delivery. Delivering an optimized and customized service to the customers may act as a great trick to improve the relationship between the customer and the agent. Therefore, one must always stay focused on delivering better customer service so that it may improve and strengthen the relationship with them. Above all, the secret to success lies in the level of customer satisfaction attained and the quality of product/service delivered. Hina Sapra is a Content Specialist at MattsenKumar LLC. An author by day and a reader by night, she holds a keen interest in learning new things, staying updated about the latest trends in the speech analytics market, the latest tools available and more. When not writing, she can be found relaxing in the lap of nature or exploring a new corner of the world.